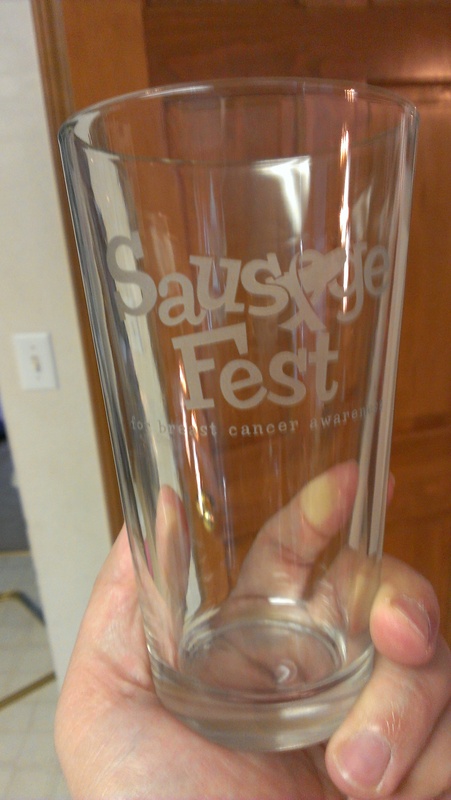 The following year at Sausagefest 2 and Sausagefest West, we were able to fund the event and donate $800 to the charity. 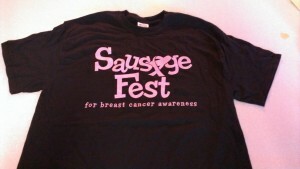 At Sausagefest 3, we blew things out of the water and after funding the event brought in $1,500 for BCRF. 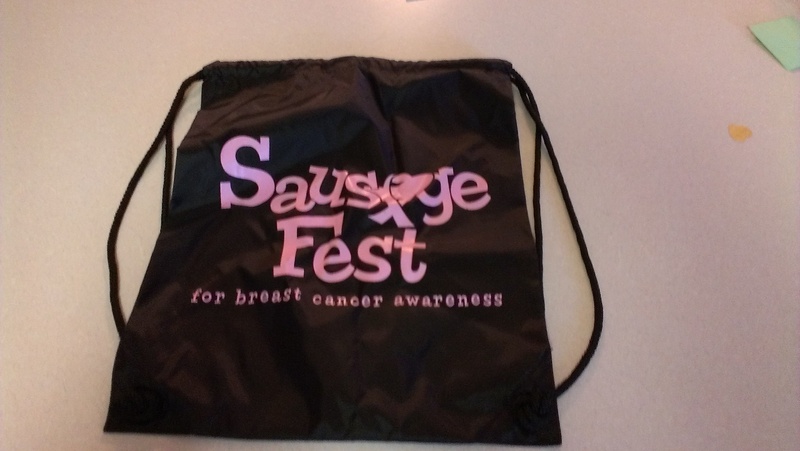 We blew past everything we did previously for Sausagefest 4 and raised $2100 for BCRF! Sausagefest 5 saw us with a few less donations before the event and the foot traffic the night of the event took a bit of a dip as well. We were still able to donate $1700 to BCRF. Between Sausagefest 6 and 7 combined, we were able to donate $4600 to BCRF which was matched by an anonymous donor! 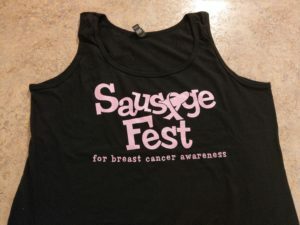 At Sausagefest 8, we donated $3050 which was matched for our 2017 donation. Sausagefest 9’s donation of $3800 was also matched by an anonymous donor, bring the 2018 total to $7600, the biggest and best yet. 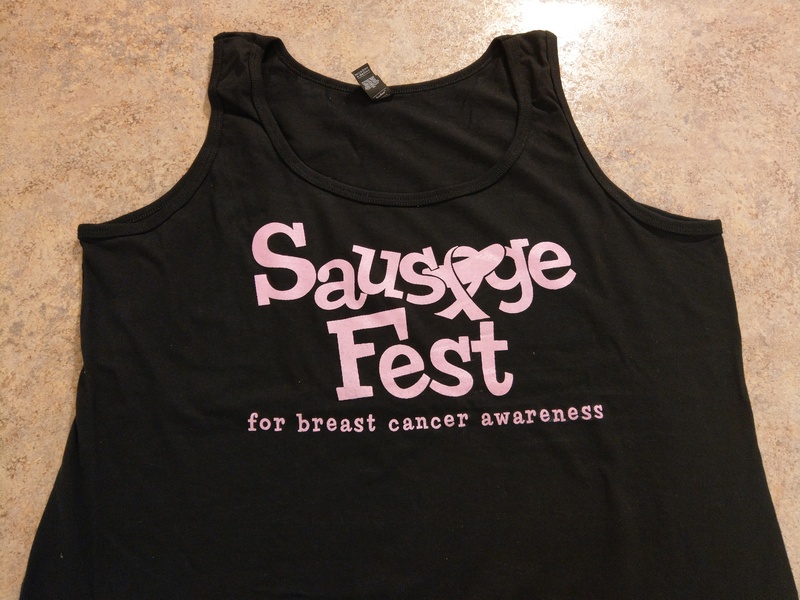 With that additional donation, Sausagefest has been able to provide $28,200 to the Breast Cancer Research Foundation and $29,500 to breast cancer charities since our inception. We want to make Sausagefest 10 continue the trend of being able to provide a fun night for con-goers to Archon, while collecting donations to pass along and help fund the amazing work done over at www.bcrf.org. Please help us by donating and spreading the word! In a place that is normally about being with geeky friends, dressing up as our favorite characters and playing games with abandon, people will join us in helping those who are doing the work of real science in treating those afflicted with breast cancer. It’s not just about awareness, it’s about research! We’re continuing our partnership with The Breast Cancer Research Foundation®. In 1994, the Breast Cancer Research Foundation awarded $159,000 to eight researchers in the United States. In 2014, they crossed a significant milestone by dedicating a record $58.6 million to breast cancer research, including $11.6 million from the Evelyn H. Lauder Founder’s Fund focused on metastasis. BCRF now supports 223 committed scientists on six continents. Today, BCRF stands as one of the largest private funders of breast cancer research in the world, and theyowe that all to us. Space – ($600) A room for the weekend costs approximately $300 dollars. We hope to get two of them. In the past, we’ve needed two rooms to handle all of the food, drinks and traffic through the event. Also, we need a place to let people crash who are helping to support this event who are coming from one corner (Seattle, Washington) of the country or another (Tampa, Florida)… and all points in between. Event supplies – ($500) – Sausage, alcoholic beverages, mixers, cups, plates. etc. The event will last about 5 hours. We’ll have a few hundred people pass through the room and we want them to understand that while we are there for a cause, we also want to celebrate. Supporting paraphernalia ($500?) – This depends on you! The more people who donate at the Perk levels, the more we’ll have to put into this pot. We won’t mind one bit if we have to up this number to cover the perks, because that means we are getting folks to donate to the cause. Donation ($500) – Any money beyond what we need to put the event will get donated to the charity. We would LOVE to be able to seed the donation fund with more money than we collected at the event last year. 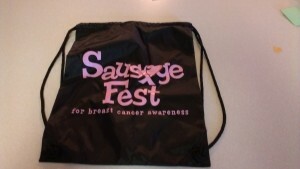 You get a warm and fuzzy feeling knowing that you helped build awareness of Breast Cancer and Sausage. Also, there are some great perks you can pick up along the way. Hot Dog – $10 – With a donation at this level, you’ll get your name listed on the donor page along with a link back to your site. Andouille – $125 – With a donation at this level, you’ll get a set of two SausageFest Ale glasses and a SausageFest Hoodie or two SausageFest T-shirts. Other mix and match options available. Tony will be in contact when you place your donation to get your order. You will also receive a Hot Dog level perk. Kielbasa – $250 – With a donation at this level, Your name or logo will appear on the flyers displayed throughout Archon advertising SausageFest 7. You will also receive an Andouille level perk. Spread the word. Donate! Come to Archon and share our sausage and a cool drink.